Diagram this on your worksheet! Go to http://www.harcourtschool.com/activity/food/food_menu.html and choose one of the three food webs. Put the food web together! Use your worksheet to describe what you learned under #a! Construction and housing projects have been held up because of the presence of a rare species. Are we really worse off if we lose 1 or 2 species ? 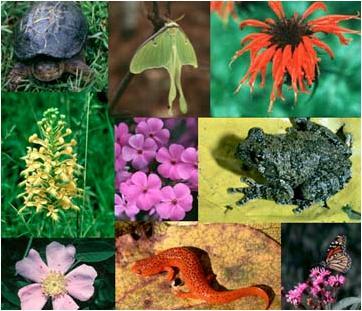 AND Why is it so important that we have a variety of species? Staple your typed essay to the front of your completed worksheet.